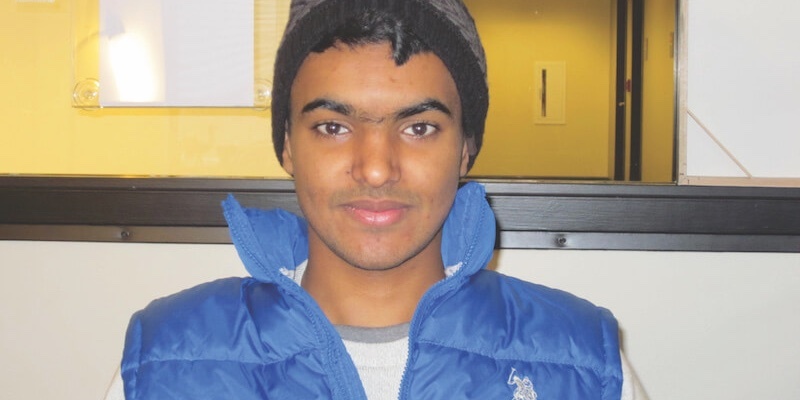 An interview with Bandar from Saudi Arabia, who studies intensive English at ELS Language Center in Grand Rapids, Michigan. University campus is beautiful, and the teachers are friendly and effective. Favorite thing about Grand Rapids: Grand Rapids is a very safe, fun, and friendly city. Q. Why did you choose to go to ELS to improve your language skills? A. I read a lot about ELS. I found it a successful school to improve my language. Also, I like the program they teach us. It’s more helpful. Q. What do you like about ELS/Grand Rapids? A. First of all, I like the campus. Then I like my teachers in the school. They are super friendly. They are always ready to help us if we have any question or any problem. There is different culture I learn in Grand Rapids ELS. Q. How has ELS helped you achieve your goals? A. First of all, it improved my language. Then, they correct my grammar mistakes and told me many things about my major. Also, they told me how I can get admission [to university], and there are some classes to help me with my major. They gave me many after-school classes every month. For the first six months, I used to go to the speech lab after school to improve my English and my skills. That was helpful. Q. What advice do you have for students looking for a place to learn English? A. ELS/Grand Rapids is the best place to learn because if you want to save the money, the city is affordable. The city is also friendly. The people in the city are friendly, and the teachers at ELS are more than friendly, and you will not feel homesick. Also, you can get a host family—they will help you to find good one. The bus is free. You can ride the bus anytime in the day without paying anything. A. After ELS, I will start university to catch my goal, and I would like to come back to visit my teachers in ELS because I really made new friends there. I would like to complete the university in the U.S. for my bachelor’s and master’s degrees. I would like to get my bachelor’s degree in radiation therapy.